Mazunte is a sleepy beach town on the coastline of Oaxaca that has a real hippie vibe to it. 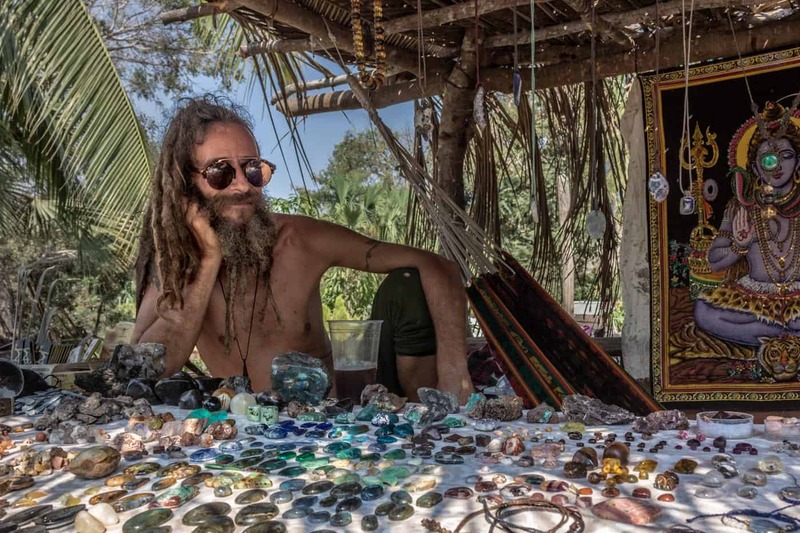 The town’s main street, Avenida Paseo del Mazunte is full of small tribal shops, hippies selling self-made jewellery as well as magic stones, healthy smoothie bars and taco eateries. The only activity is hanging on the beach, zipping a coconut, reading a book and just be lazy. Some people say, unless you are hippie better go one km further to San Augustinillo…but I would disagree.